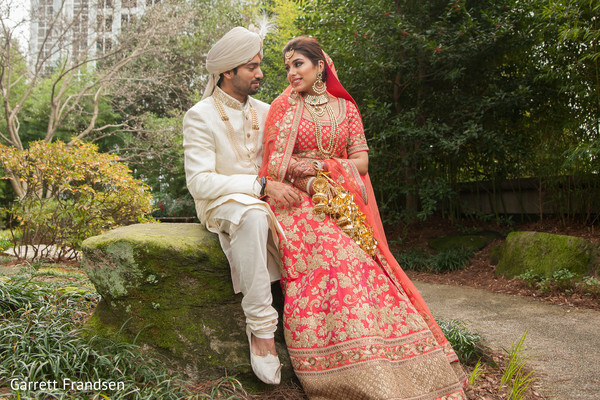 Envi Event Planning is about to delight every wedding-lovin' bone in our bodies with details from today's Indian wedding, which they planned to Princess perfection for blushing bride, Nickita, at the Grand Hyatt Atlanta in Buckhead! 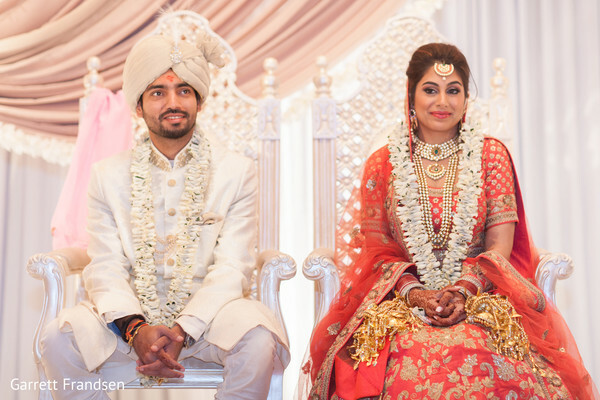 We are reveling in every extraordinary highlight from her and Shiraz's ceremony, captured by the photo phenoms from Garrett Frandsen, which feature the most luxurious decor elements we ever did see! 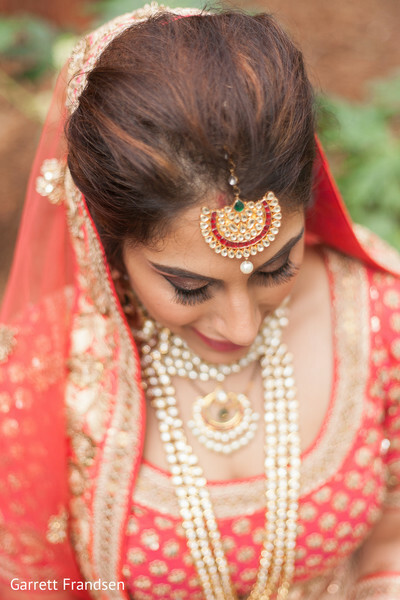 Raginni Patel and her team from Weddings InStyle have upped the Desi wedding ante with breathtaking Indian wedding decorations that dazzle beyond our wildest dreams. 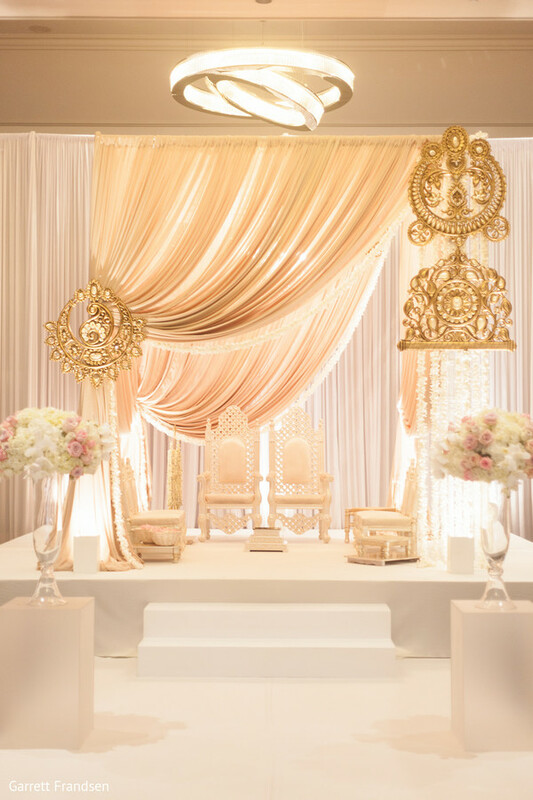 An asymmetrically draped mandap, gold ornaments and white and powdery pink florals (all lit in a perfect glow by DJ Jaz and his team from GTB Productions) has stolen our hearts. 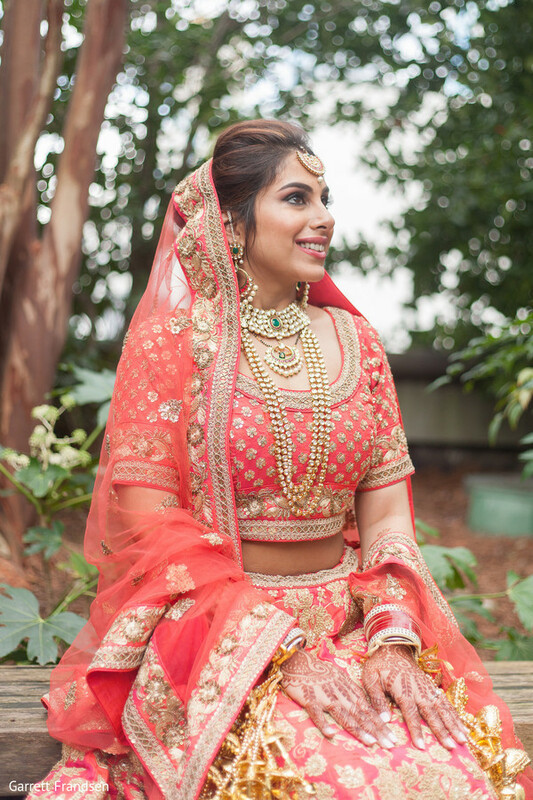 The Indian bride of the hour turned heads her entire walk down the aisle sporting an incredible coral-pink wedding lengha, her hair by Gunn Glamour looking fierce and her makeup game by Erica Bogart Beauty on point. 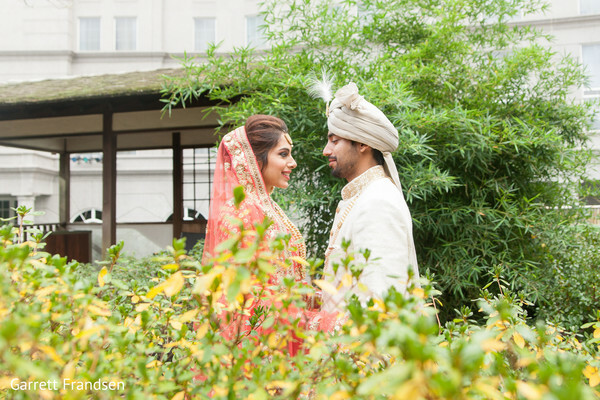 We'll explore the wonders from Nickita and Shiraz's reception next, but before we do, you need to fill up on even more of their exquisite ceremony details in the complete gallery! 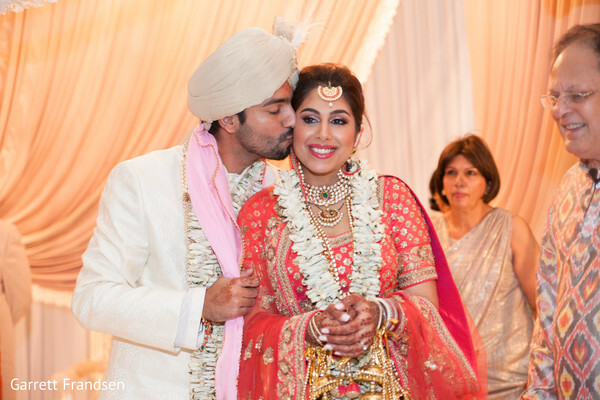 "I loved everything from start to finish (I'm sure my husband and sister will say otherwise because well... I had my mood swings). It was always high adrenaline and the rush never seemed to stop! It was literally the best weekend of our lives and I still miss it!!" 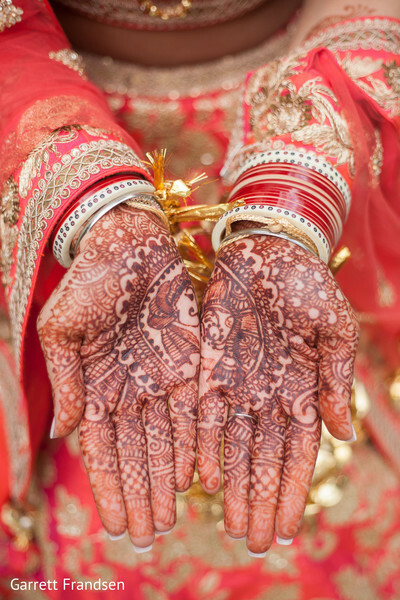 "For the wedding ceremony, I wanted to break the regular red tradition. So I went with deep coral with a ton of gold work on it. 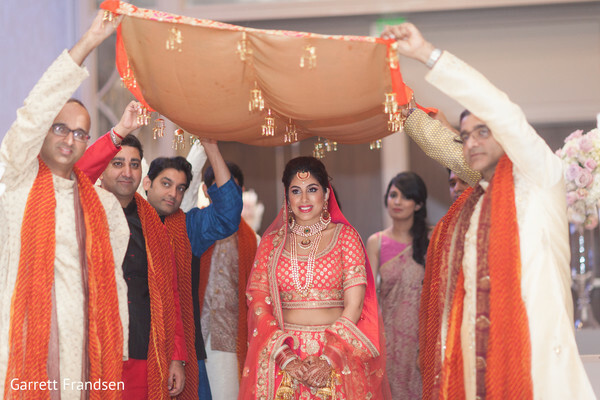 I matched my bridesmaids blouses to the same exact color and material of my lehnga and gave them gold sari's to match my colors! 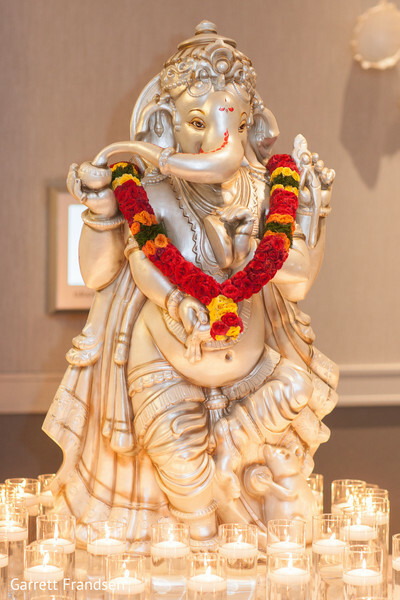 I think it turned out beautifully." Don't move a muscle, my dears! 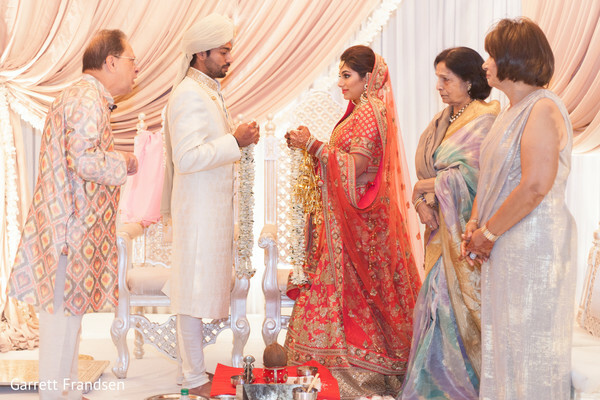 You can't miss the divine post-ceremony details from Nickita and Shiraz's reception! 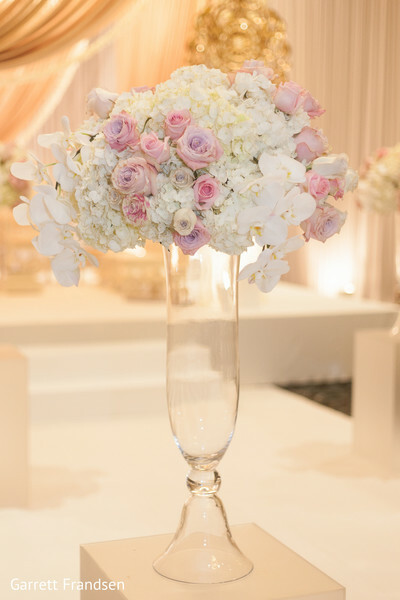 Weddings InStyle, Envi Event Planning, DJ Jaz- GTB Productions, Beauty You Deserve, Gunn Glamour Hair, Makeup, & Bridal, Erica Bogart Beauty and Grand Hyatt Atlanta in Buckhead are members of the Platinum Guide. Love what you see? Explore their portfolios.